The Natsume family lived in this district since the Edo period. 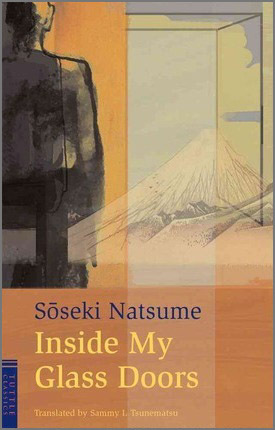 He choose the characters 喜久 Ki Ku instead of 菊 kiku for chrysanthemum, to express his love for literature and auspicious meanings.
. 硝子戸の中 Inside My Glass Doors in 1915.
. Natsume Soseki 夏目漱石 (1867 – 1916) . Natsume Soseki was born, raised and passed away in Shinjuku. 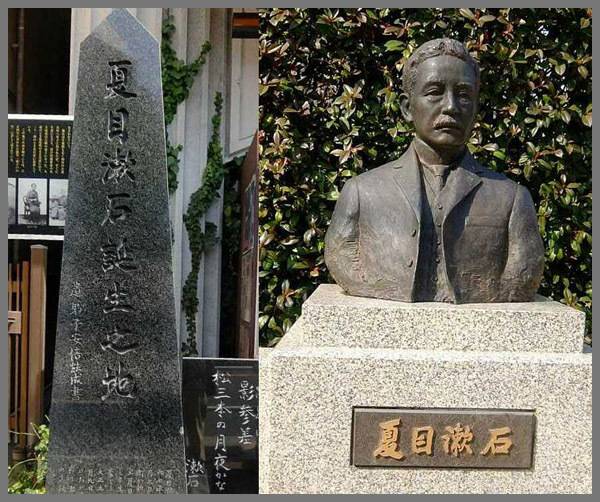 He spent the last nine years of his life in Waseda-Minamicho,　where he devoted himself to writing and published many of his representative works. 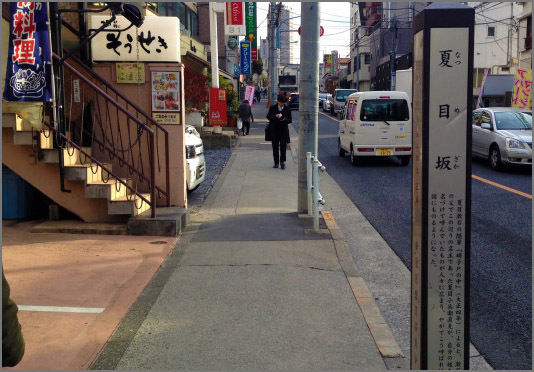 The house was called “Soseki Sanbo”, which many of his followers visited every Thursday. The gathering became a literary salon, which was called Mokuyokai （ Soseki Thursday meeting). In 1920, after his death, the study room, guest room and preserved, while the main building was rebuilt. Although the whole house was burnt down by an air strike in May 1945, it is still in living memory. 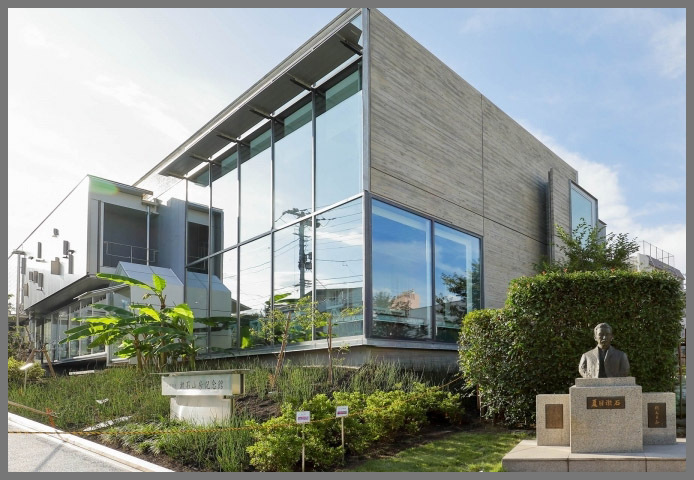 Waseda belonged to the district of Ushigome. 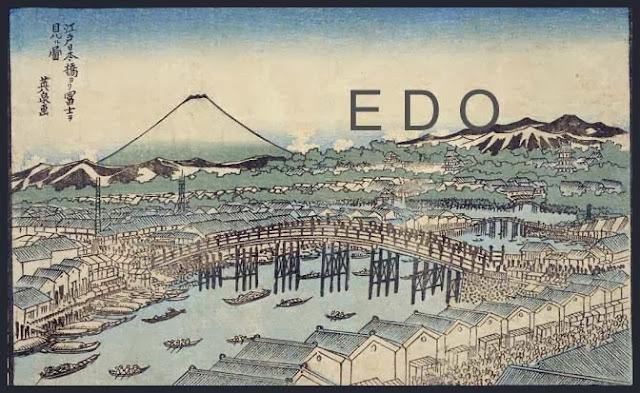 In the Edo period it was called 早稲田村 Wasedamura village. 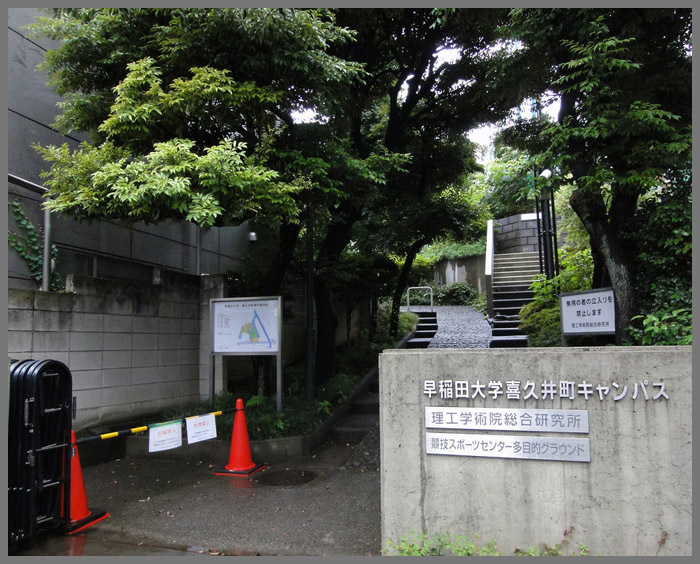 is a Japanese private research university in Shinjuku, Tokyo. 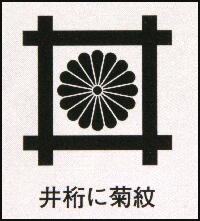 Founded in 1882 as 東京専門学校 the Tōkyō Senmon Gakkō by Ōkuma Shigenobu, the school was formally renamed Waseda University in 1902. 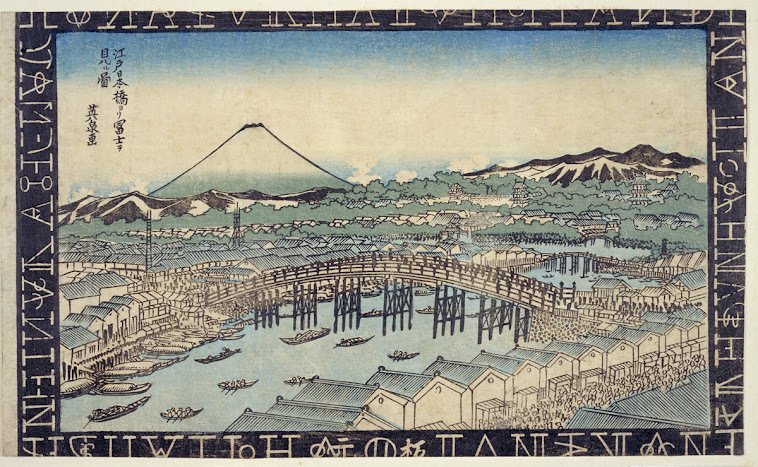 The name of the bridge is related to a legend where a man's friend fell in love with the man's beautiful wife, and the friend killed her husband, and the sad woman avenged her husband, and she threw herself in the Kanda-gawa River, after reciting a poem and looking at her reflection in the flow of the river. It is a famous spot for fireflies. 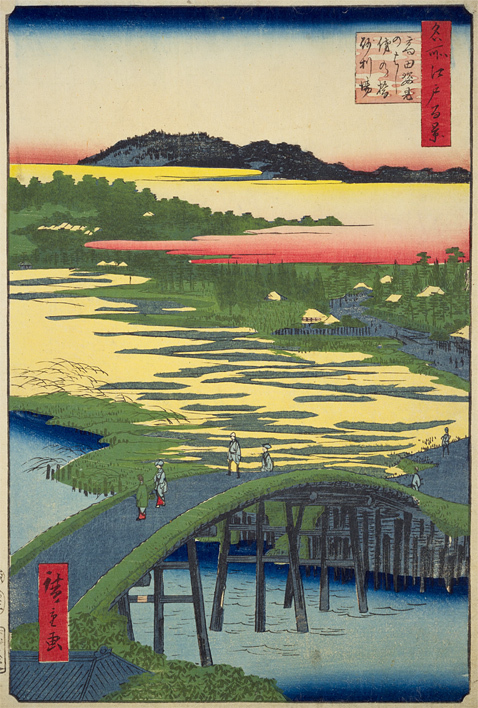 There are several theories on where the bridge was located, including one which states it was located in the middle of the Kanda-gawa River where the present day Omokage-bashi Bridge is located, and another which says it was a bridge over a small river which was located slightly further north.
. Temple 放生寺 Hojo-Ji .
. Temple 観音寺 Kannon-Ji .
. 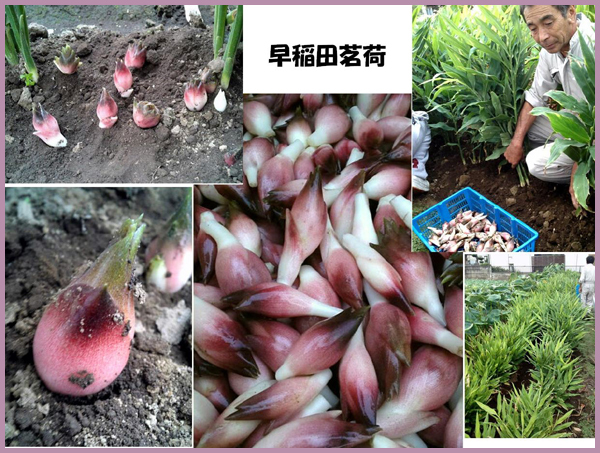 Vegetables from Edo 江戸伝統野菜 Edo dento yasai .